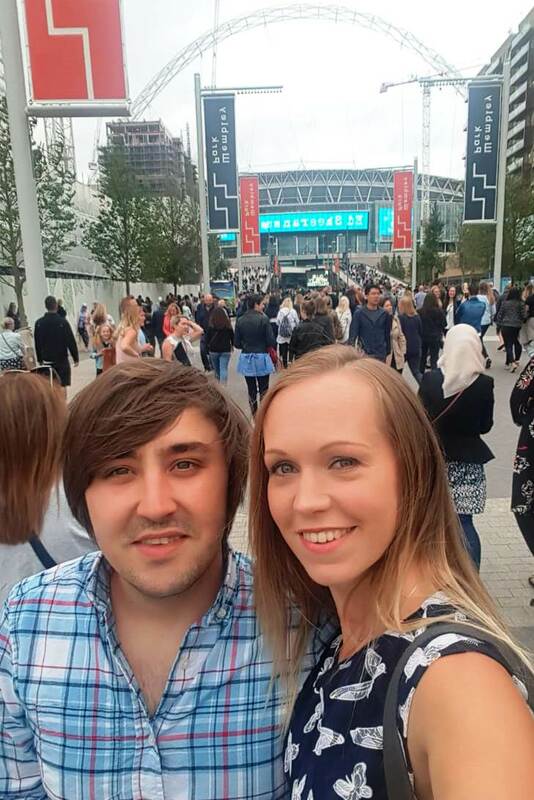 To celebrate our first wedding anniversary, Mike and I went to see Ed Sheeran Live at Wembley Stadium for his 2018 Divide tour. Every year we have tried to get tickets and this was the first time we were successful. I can’t tell you how excited we were. You could see the stadium arch and the big blue sign lit up with the words “Ed Sheeran” from as far back as the station. We arrived at Wembley Park tube station at around 5pm and were amazed at the sheer size of Wembley Stadium. It took us ages to walk around to entrance A and then the escalators took us up, and up, and up, and up. We were almost level with the clouds by time we reached block 525. We were in Entrance A, Block 525, Row 38, Seats 341-342. We had been secretly quite worried about security, because of what happened at the Manchester Ariana Grande Concert last year. Knowing that tickets for Ed Sheeran Live at Wembley Stadium, or in fact any stadium, sold out in minutes, added to our anxiety. We needn’t have been worried. 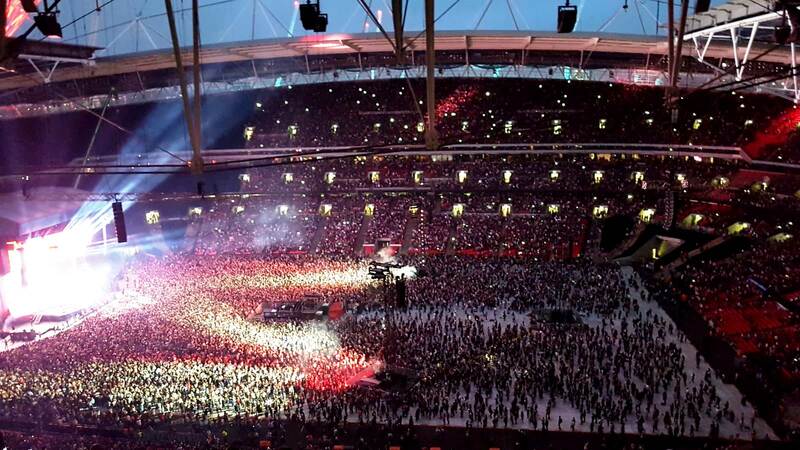 Wembley Stadium is seriously on top of security. We had our bags searched and some people were being frisked on the pathway before you get anywhere near the stadium. A little further up the path, guards are wandering around with search dogs, sniffing out anything suspicious. On arrival at the individual entrances (your concert ticket tells you which entrance you have been assigned to), you have to scan the barcode on your ticket, to open the floor-to-ceiling stadium turnstile. They had a separate entrance for people who had been victims of the Viagogo scam and had fraudulent tickets. We had thankfully bought our tickets direct from Wembley stadium. Once through the turnstile, there are more bag searches and more friskings. Bags which have been searched are labelled (airport style), to show they have been checked. 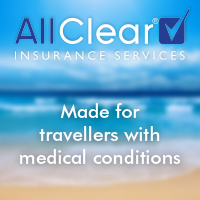 By time we had completed all the security checks, we felt much safer and were able to relax and enjoy ourselves. Food and drinks inside Wembley Stadium are VERY expensive. We were told by a member of staff that prices are inflated for concerts and lowered for football. A small punnet of Popcorn was £5 and a large was £9. Alcoholic drinks started at £5.60 for a bottle of lager. We paid £5.80 for two bottles of Coke Zero and they don’t allow you to have the lids, for safety reasons. A bag of Malteasers was £3.50. Hot food was slightly better value for money. We paid £6.70 for a small portion of chips and three small pieces of chicken (think goujons). As we had just enjoyed afternoon tea at our hotel, we decided to just have chcken and chips, popcorn and soft drinks (Mike and I don’t really do alcohol). 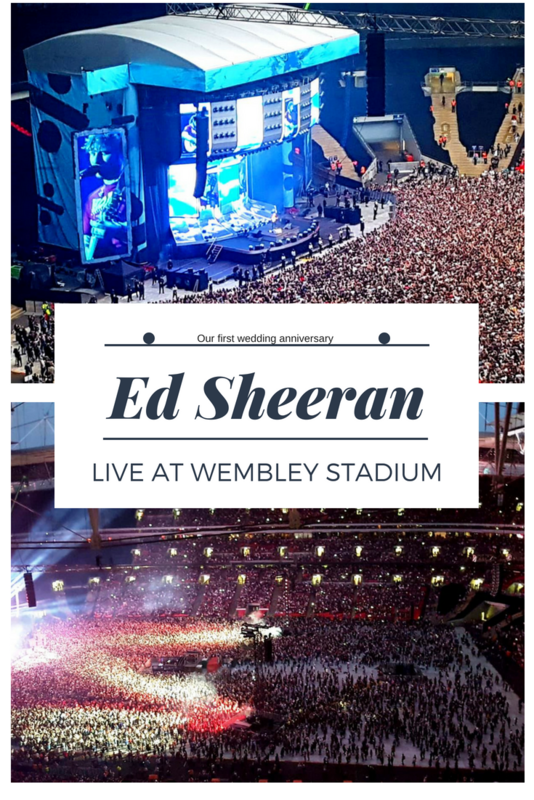 There were also stalls selling official Ed Sheeran Live at Wembley Stadium merchandise, but the queues were huge, so arrive early if you want to buy merchandise at a concert here. We were sat in our seats, up in the gods (British saying for “very high up”) by 5:30 and the first support act began at 6pm. Jamie Lawson kicked things off and we were really shocked by how few people were in the stadium. There were a lot of empty seats. Jamie Lawson’s music was great to hear live and he was well received by the audience, but he didn’t have much stage presence. Jamie Lawson was the first artist to sign onto Ed Sheeran’s own record label, Gingerbread Man Records. I did recognise a few of his tracks but I have a soft spot for “I wasn’t expecting that” as I found the video very emotional when it first came out. Following Jamie Lawson and livening the crowd up a bit at 7pm, was Anne-Marie. I actually didn’t know who she was to begin with but I recognised every single one of her songs and realised that actually, she’s pretty big in the charts right now. She was much louder and more confident on stage and brought a very bright lighting rig with her. The stadium started to fill up and she got a much louder applause and really got the audience going. By time her set finished, I was thinking to myself that I might actually buy her album. Ed Sheeran, humble as ever, made no big dramatic entrance. There was no huge build up of anticipation or sudden appearance on stage. He literally just walked down the steps at the side of the stage, with a big wave and strolled onto the stage and started singing, as though he hadn’t noticed the sheer magnitude of the stadium he was in. Suddenly, every seat in the stadium was full. The floor was full of people standing and the applause was rapturous. Being seated so high up, was a very different concert experience for me as usually you hear the majority of crowd appreciation behind you, but this time, most of it was in front of us. It didn’t stop the atmosphere from being electric though. For the upbeat numbers, Ed Sheeran had the crowd up on their feet dancing, clapping and singing. During the ballads, people were waving the torches on their phones and the whole stadium twinkled with pretty white lights. It was incredible to watch and I managed to capture a little clip of it online, which I shared on Facebook Live. 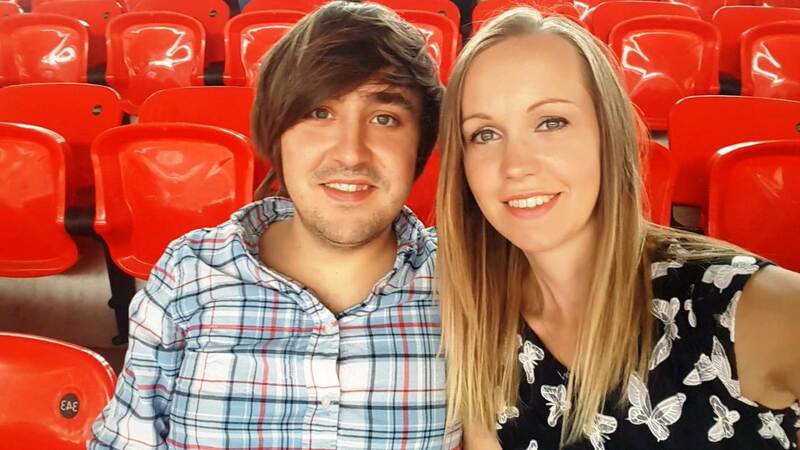 Mike and I had a thoroughly amazing time watching Ed Sheeran live at Wembley Stadium. 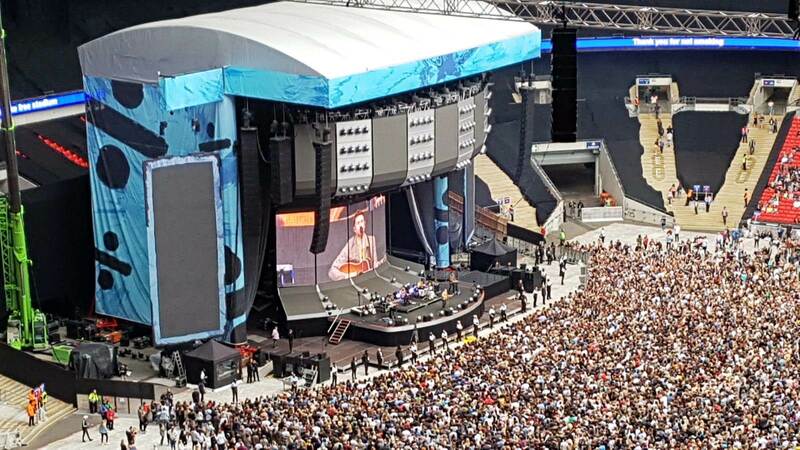 I’d definitely return to Wembley Stadium to watch another concert and I’d definitely watch Ed Sheeran Live again. I just really hope we can get tickets again in the future and hopefully seats closer to the stage! 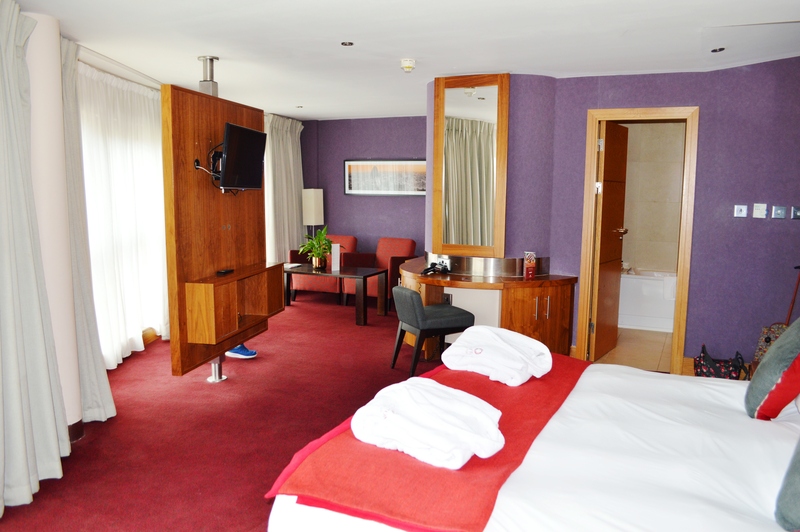 As hotels near Wembley are so expensive, we stay at the Clayton Crown Hotel in Cricklewood, which was just a short bus and tube journey from Wembley Stadium and very quick and easy. It’s also outside the congestion zone, which means if you are driving there, it’s hassle free and the hotel had their own secure underground car park. 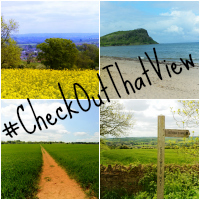 You can read my full review of the Clayton Crown Hotel on this blog very soon. The car park is very expensive and parking must be booked in advance. If you are driving, but staying in a local hotel, I would recommend using your hotel parking and getting the Tube to Wembley Park. 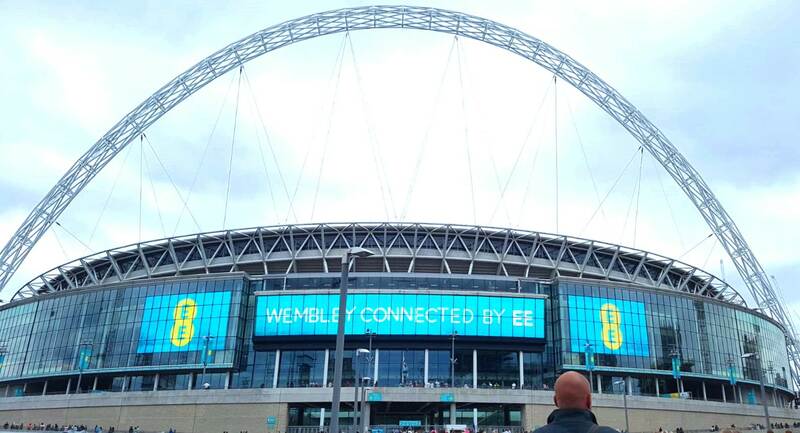 If travelling by Tube, you can get to Wembley Stadium via one of three tube stations, which are Wembley Park, Wembley Central and Wembley stadium Station. For people requiring step-free access, Wembley Park is the station of choice, where there are lifts and also step-free access from the trains. There is quite a walk through Wembley Park and around the stadium to the entrance gates, whichever station you use. If you avoid taking the ramp which goes up to the stadium, there’s actually a disabled entrance right in the middle of the left and right ramps. If you find slopes difficult, I would recommend going in this entrance and using the lifts. However, if you did not buy your tickets via the disabled access line or disabled access website for the stadium, you will need to call them for assistance in getting to your seat. Depending on where your seat is in the stadium, there are a LOT of steps and they are quite steep. When we watched Ed Sheeran Live at Wembley Stadium, we worked out that there must have been more than 60 steps for people sitting in the back row. Whilst there are handrails, these are intermittent and there are big gaps between them in places. 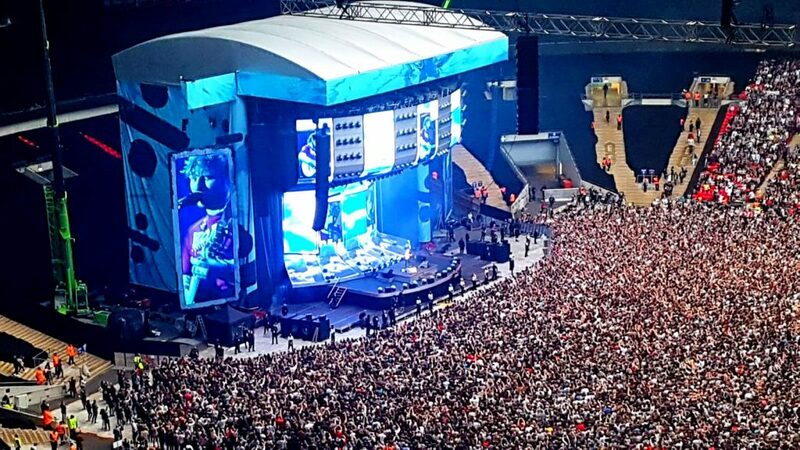 If you are hoping to get tickets to see Ed Sheeran Live at Wembley Stadium next year, please be aware that tickets sell out in a matter of minutes. We had two years of disappointments in trying but failing to get tickets. Do not buy tickets from resale sites as they will not be valid (except for Twickets). Hi Emma, congrats on your first wedding anniversary! How exciting! I’ve tried to get tickets to Ed Sheeran too, but they always sell out so fast. Glad you got to see him perform!! Glad you and Mike had such a good wedding anniversary. It was a fantastic concert, wasn’t it? And I do love Wembley as a venue, despite the ridiculous prices of the drinks (and trying not to knock them over without the lids! ).